The Gators roll over the Crimson Tide 78-69 at the Stephen C. O'Connell Center. The Gators roll over the Crimson Tide 78-69 at home. 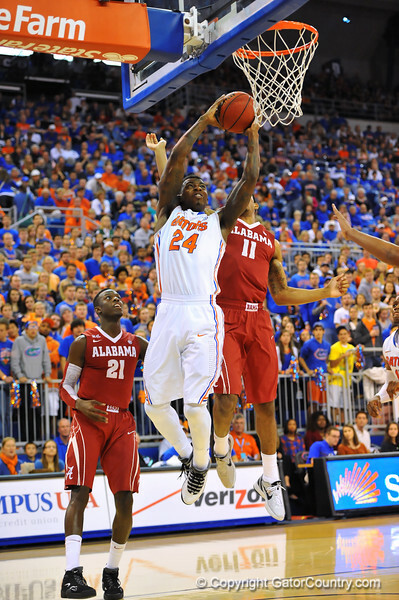 Florida forward Casey Prather leaps toward the basket past Alabama forward Shannon Hale for the dunk. Florida Gators vs Alabama Crimson Tide. Feb 8th, 2014. Gator Country photo by David Bowie.